Beware all arachnophobes! Pippins have been learning about spiders, and have made some yummy spider biscuits and counted out eight pieces of liquorice for their legs. It was very hard not to eat them! We then used our handprints to make spiders and hung them on a huge spider’s web in the classroom. Acorns have been singing 5 Little Speckled Frogs, painting our hands green and counting and matching numbers to 5. We also went on a walk around the school to see what shapes we could spot – great fun! 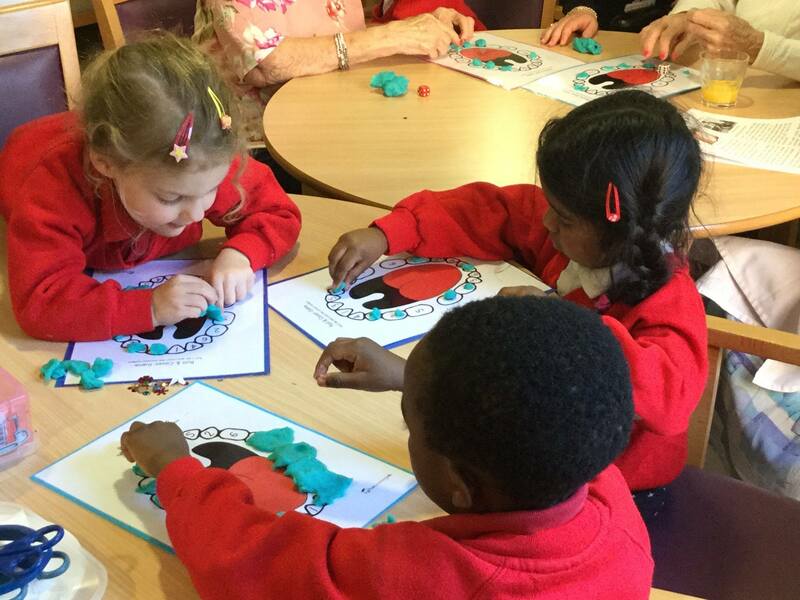 We were suitably clad in red and made some tasty cakes for Red Nose Day. 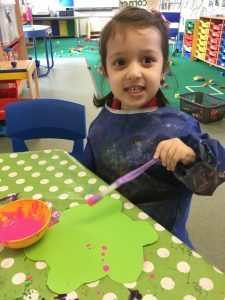 SMILE from Oaks Class this week as our People Who Help Us theme looked at wonderful dentists and what a good job they do at helping us keep our teeth clean and healthy. Our very own dentist had to postpone her visit; however we still enjoyed lots of activities based around teeth. 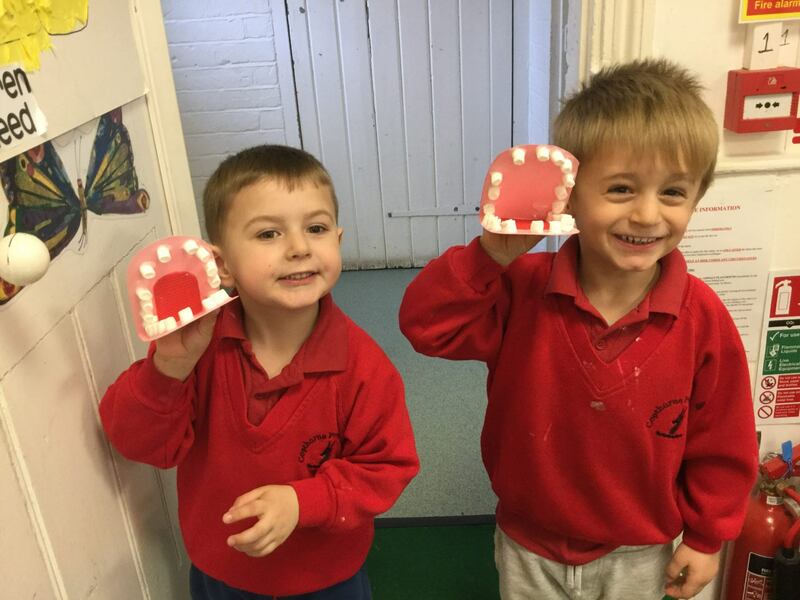 The children made some edible ‘false teeth’ out of tiny marshmallows and of course cleaned them after they ‘ate one or two’ whilst gluing them with icing sugar to the card! 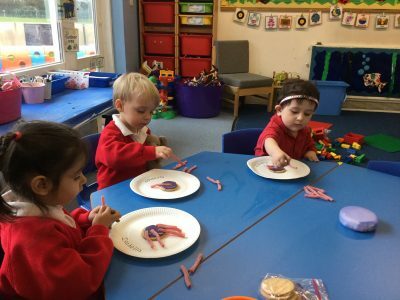 They had fun recognising numbers 1-6 on a play-dough, dice and tooth game and learnt about foods that were good or bad for their teeth.